I have been giving tuitions since last 6 years to the students of cbse and icse boards. I cover all subjects as per the requirement of parents of the students . I work on the principle of progressive tests twice a week and surprise viva-voice is a key to better learning. A full chart of all subjects for the lessons completed in school and lessons learned and lessons whose test have been held is a method to keep an eye on full syllabus. My students have improved from basic to top level in academics. My way of motivation is such that the laziest student can show energy while learning. Give a chance and see results! "He teaches very well and considers the requirements of parents of the student. As far as maths and science is concerned, very good techniques are used. Thanks For providing us with your services. " 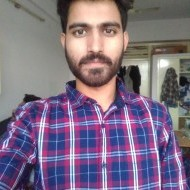 "Your way of clearing concepts in very short time and learning techniques helped me a lot in my studies. Maths , Science and Social science all upto the mark. " "The kind of motivation and methodology used for teaching is exceptional and results are so good. You made my son a curious one about learning and problem solving enthusiast. He is doing well in studies. Thanks. " "Sir, you are a wizard for Maths, science and social science and a great help in other subjects too.Thanks. " I have been giving tuitions since last 6 years to the students of CBSE and ICSE Boards. I cover all subjects as per the requirement of parents of the students . I work on the principle of progressive tests twice a week and surprise viva-voice is a key to better learning. A full chart of all subjects for the lessons completed in school and lessons learned and lessons whose test have been held is a method to keep an eye on full syllabus. My students have improved from basic to top level in academics. My way of motivation is such that the laziest student can show energy while learning. GIVE A CHANCE AND SEE RESULTS! Suraj Rana describes himself as Tutor. He conducts classes in Class 10 Tuition, Class 6 Tuition and Class 7 Tuition. Suraj is located in Sector-14, Chandigarh. Suraj takes at students Home. He has 6 years of teaching experience . Suraj has completed Bachelor of Engineering (B.E.) from CHANDIGARH UNIVERSITY in 2018. He is well versed in Hindi, English, Punjabi and German. Suraj has got 9 reviews till now with 100% positive feedback.